What is a nation? Is a nation the geographical boundaries that define its borders? Is a nation something that comes about because of its past? Do we call something a nation because of the soil and natural resources that are present in a piece of land? According to the Oxford dictionary, a nation is defined as “A large body of people united by common descent, history, culture, or language, inhabiting a particular state or territory”. The definition might be enough when we look at nations in general, but if we were to look at India or even the state of Nagaland, does that definition suffice? 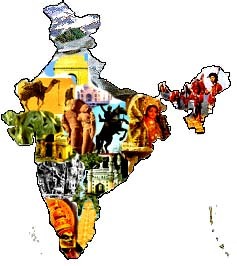 India is home to many different languages, cultures with varied history and states with their own potpourri of languages, food and origin stories. In spite of that, we call it a nation. A lot of the cultures and inhabitants of the people of different states are unique and do not actually have any shared history. Yet, all these people, cultures and languages are being brought under one umbrella called India. Taking these different characteristics of the different states, PM Modi has been aggressively promoting the idea of India internationally. It seems to have made a difference because in 2015, India’s nation brand value has increased 32 per cent to $2.14 trillion, compared with $1.62 trillion last year according to a report by London-based Brand Finance. The USA still tops the list by a huge amount of $19.7 trillion followed by a distant China at $6.3 trillion. This is important. We are basically talking about “Soft power” – a word first coined in 1980 by Joseph Nye of Harvard University. It means the ability of a country to persuade others to do what it wants without force or coercion. In today’s world, it isn’t always going to be the country with the bigger army that wins wars, it’s the country with the bigger story. Taking the above into context, where does Nagaland as a state stand in terms of our brand value and soft power, within this country? When travelling outside our state, stereotypes of Naga people are common. Some of them positive, some negative and some so ridiculous it makes you wonder what planet they came from. A lot of people have asked me, do you play the guitar, do you know kung-fu, do you eat dog meat – no, I don’t play the guitar and have no musical talent; no I don’t know kung-fu but I can probably stop a fist with my face; no I don’t eat dog meat because I don’t like it. People love our colourful attire and fashion sense, have heard of the Hornbill Festival, know about our pathetic roads – our roads are becoming famous; but I was pleasantly surprised when I received a call from Tata Consultancy Services. The TCS representative stated that they found our Naga people to be very sincere and hardworking and wanted to conduct a campus hiring at Tetso College. Hearing that made me feel great to know that our people were making a mark in the corporate sector. The only sad thing was when I thought too hard and remembered the many other instances where I felt we aren’t exactly hard working – for example, the proxy employees, working hours of some government employees and other unethical practices like using our tribal connections to help non local business men avoid paying tax. However, companies like TCS hiring in Nagaland is a good thing even if its for their offices in the metros. While having to shift base sometimes becomes a deal breaker for our Nagas, I think we need to ask ourselves, “Do our Naga people actually want to live in Nagaland?” When we look at the way the population is distributed, the population is mainly concentrated in Kohima and Dimapur. But Nagaland is not just Kohima and Dimapur. And almost anyone with even a little connection to the big shots will exert pressure until they can be transferred to Kohima or Dimapur in case they are posted in interior parts of Nagaland. 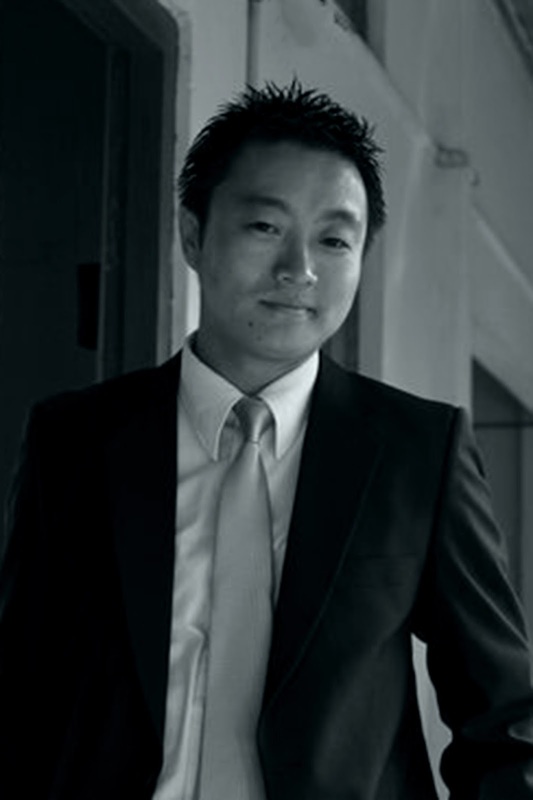 We also see quite a significant number going outside the state of Nagaland to study and now work. It is great to see our people doing well in so many different locations all over the world. Nagaland is jumping onto the globalisation band wagon and encountering both the benefits and also the dangers that accompany it. In the midst of all this is the fusion of cultures, east meeting west, western clothes and Indian attire coupled with western and Indian holidays along with our traditional Naga harvest festivals. Many are embracing it and maybe even more are also trying to fight or resist it. Change is scary and so is the unknown. It is usually more comfortable to hold on to the familiar past than confront an uncertain future. However, to build the future we can’t keep living in the past. Past glory cannot build or sustain any group of people or nation. Nations do not last forever. Powerful empires have conquered the world but only to wither away. Over the centuries we have seen many nations cease to exist and some new ones being born. One example is Yugoslavia which was born in 1918 only to disintegrate in 1992 to the smaller countries of Slovenia, Croatia, Bosnia, Serbia, Macedonia, and Montenegro. We also see a lot of small countries deciding to merge with their larger neighbours like Newfoundland merging with Canada and Sikkim merging with India. But, as asked in the beginning of this article, what is a nation? Is a nation the geographical boundary? According to Sadhguru, founder of the Isha foundation, “A nation is an ïdea.” A nation needs to be a place we are proud to be a part of. A nation is a place where people want to be in otherwise it is basically an open prison to keep people from escaping the country. Past glory cannot build a nation and past atrocities cannot keep holding a nation back. If a nation is at war we must train our youth to fight. If a nation is corrupt than we need to train our youth values. If a nation is poor than its time we train our youth to work. It is sad to see our leaders too dependent on external assistance and having to beg for funds all the time. I think if we want help, we also need to show them we know how to help ourselves. Can we solve our current mess of unpaid salaries, a Rs.1426.29 Cr Deficit Budget for Nagaland, a CAG report revealing fraudulent withdrawals, an unrealistic prohibition policy, an unauthorised taxation system from all sectors. Can we stop politics from overriding the interests of our state. It would be refreshing to see our apex NGO’s and the powers that matter actually stop the charade of playing in the middle all the time and take a concrete and definite stand to follow through. There are things that must be said and backed up by action. It will probably offend a few people but it’s the current problems of bad roads, electricity, pathetic infrastructure etc. that are of our own making and not anyone else’s. It’s time to acknowledge that and stop blaming Delhi, the past or anyone else and accept some of the responsibility. It’s time to prioritise and establish ourselves so that we are respected for our strengths, our work and ideals that the rest of the world respects. It is time to stand up and ask for help as an equal and not as a charity case. Maybe it is also time to realise that even though we are all different and unique, there are also similarities and common areas that have allowed people with different cultures and religions, languages and eating habits to work together, love and taste success. It is only because this is possible that we have global corporations spanning across countries, employing millions of people (Walmart employs 2.1 million), feeding them in their cafeterias and also helping these people to celebrate their differences. Nice write up! It is interesting to think of nation as an idea. All the more, it is imperative to ask how do we conceive it? Although, Education, work ethic, inclusiveness, dialogue, civic participation could be some agencies to help assert the idea of nation. It does not address the framework to fulfill it. All in all, it is not easy it come up with a silver bullet. And, unless we answer this question? I believe we are still anchored in thin air. To sum it all, I believe, just asking the question is also part of the answer. Thank you for your comment. There is certainly more to the idea of a Nation than what is written here.